The Omron CP1H series of programmable logic controllers is programmed from CX-Programmer. CX-Programmer is part of Omron CX-One Factory Automation Integrated Tool Package. We will now establish communication to our CP1H PLC using CX Programmer. We will be using the USB connection (Built into the CPU) as well as a RS485 connection using the CP1W-CIF11 module. The Start Stop and Jog circuit that we developed last time will be transferred to the PLC unit. 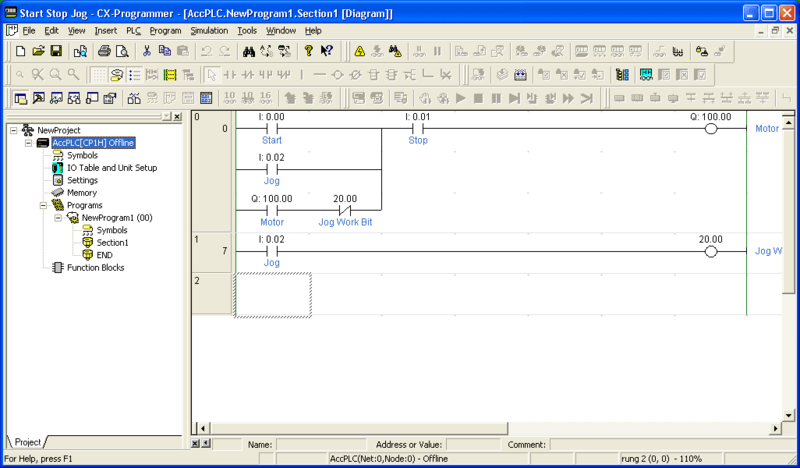 We will then verify that the program in the PLC is the same as the program logic in CX Programmer. 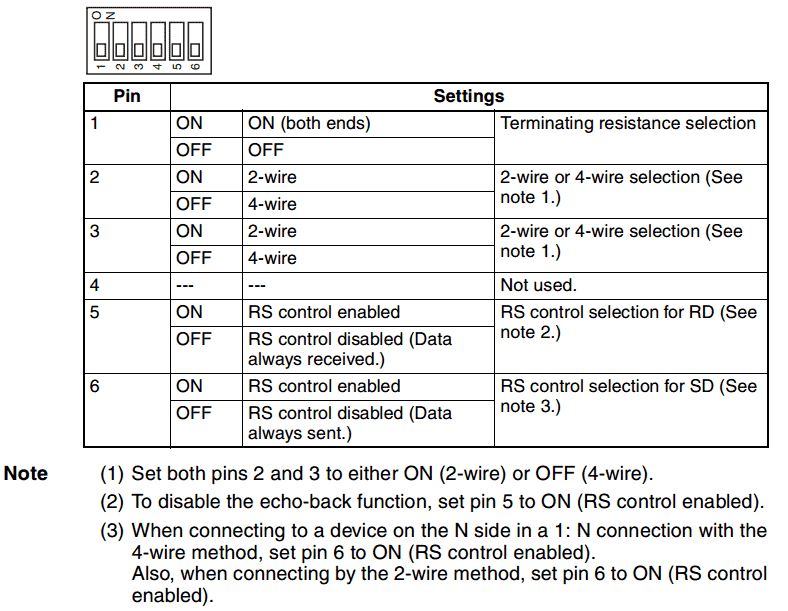 Lets start with establishing communication using the CP1W-CIF11 RS-422A/485 Option Board. We will set the hardware and then the software. This option board can be mounted on either board slot on the PLC CPU. The unit has communication status indication and a terminal strip on the front. Dip switches are located on the back of the unit and are used to set up 2 (RS-485) or 4 (RS422) wire communication. The following are the dip switches. In our case we will have everything on except pins 1 and 4. When you see a ‘Not used’ on an Omron dip switch, it is best to leave this in the off position. We will start by calling up the Start Stop Jog program that we made last time in CX programmer. 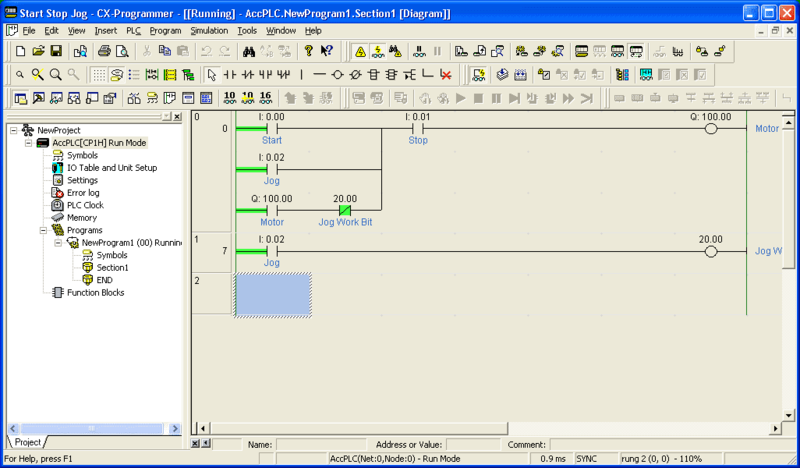 Under the project tree, double click on the PLC (AccPLC[CP1H] Offline). 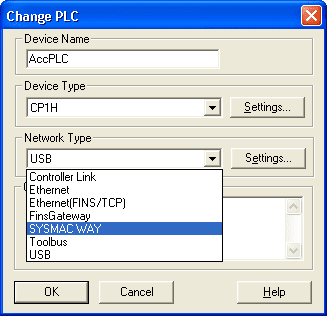 Alternatively you can go to the main menu and select PLC | Change Model. 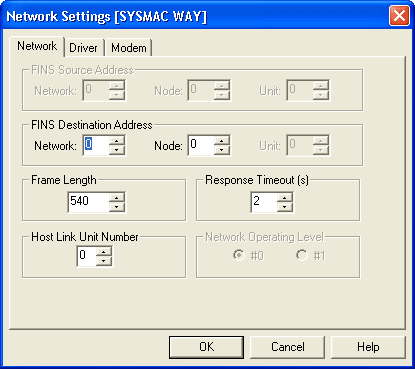 Under ‘Network Settings [SYSMAC WAY]’ we will leave everything at the default settings. Please ensure that the Host link Unit Number is set at zero. (0) This should be the default. Now select the Driver tab at the top of the window. 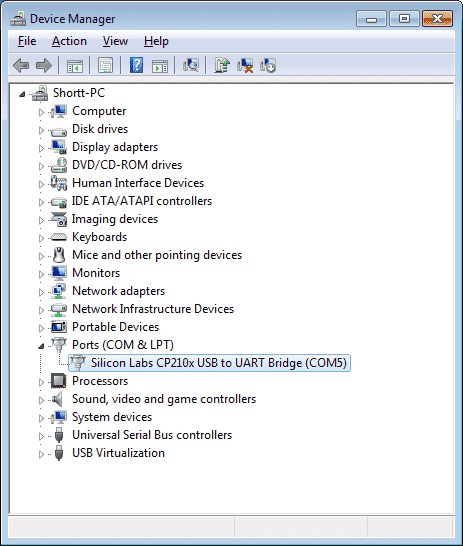 Set the Connection Port Name to the port when installing the USB to RS485 adapter. Leave the baud rate and data format to the default settings. 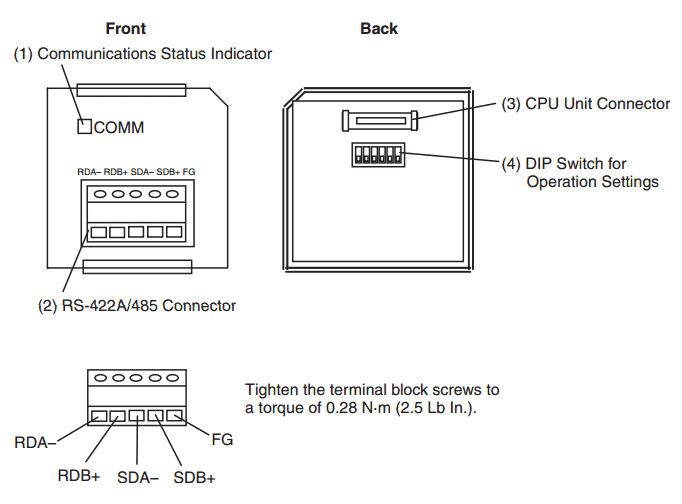 Omron equipment using serial communication will usually have the following as the default values. 9600 baud, Even parity, 2 stop bits and 7 data bits. You can see the port number by going to your device manager in windows and looking at the communication port settings. Hit OK to save and get out of network settings. Now hit OK to save and get out of the Change PLC window. We are now set to communicate to the PLC. The first icon triangle is the normal online. 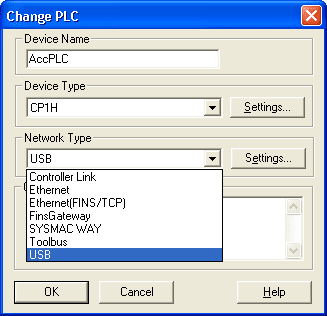 This will enable you to go online with the PLC of the device type and method specified in the Change PLC window. The icon with the binoculars and triangle is the auto online. 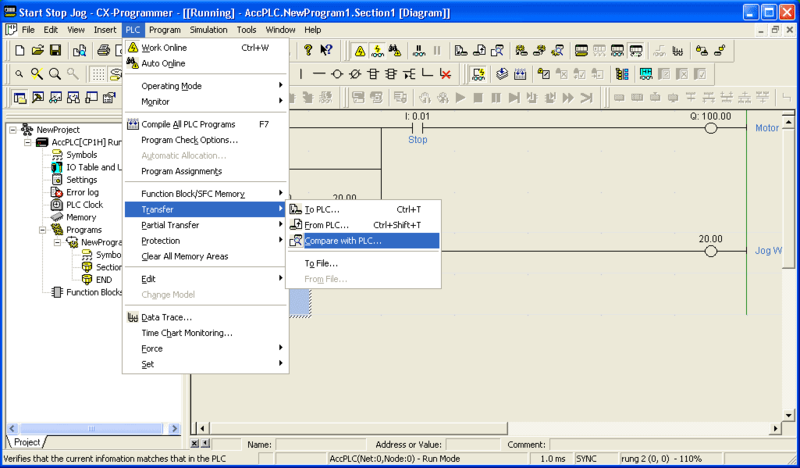 This button will automatically recognize connected PLC and will upload all data such as programs from the PLC. Hit the normal online triangle. 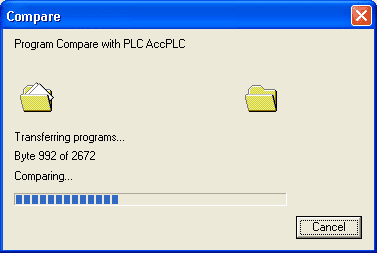 You will get a warning message that you are about to connect to the PLC. Do you wish to continue? We are now connected to the PLC. 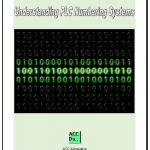 The icon that looks like glasses with a lightening symbol will toggle the on/off of the PLC monitoring. That is you will see the ladder rungs being monitored and will be shown in a specified colour. 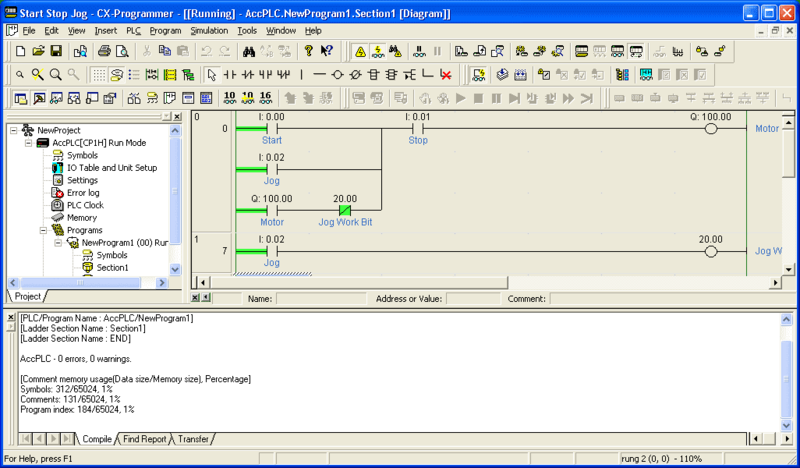 Note: When online to the PLC you will see the project tree will show the PLC condition. In our case it is showing Run Mode. We have established communication with the PLC. 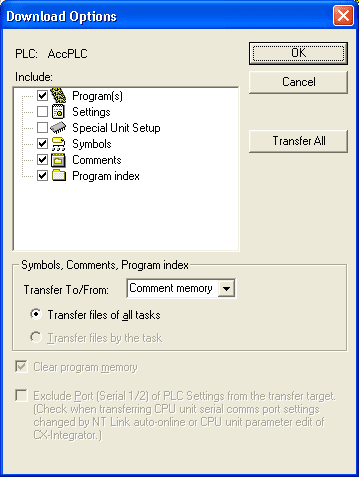 Let’s transfer our program and verify that it is the same as what we see on the computer. 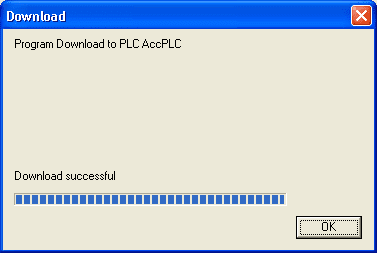 Select from the main menu PLC | Transfer | To PLC…. You could also use the keys Ctrl + T.
The following Download Options window will now appear. 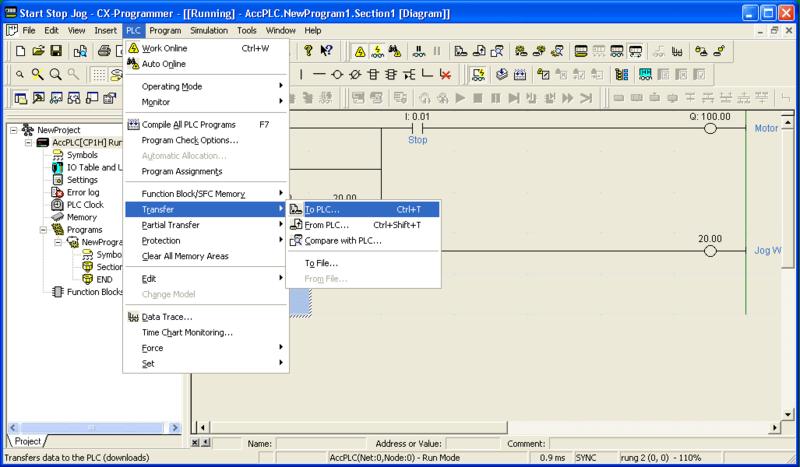 Select OK to transfer the program. A warning window will now appear. Additional warnings may appear depending on the current mode of the PLC. If an existing program is running, it will ask if it is OK to go into program mode. This will stop the execution of the existing program. When the download is finished, the download window will indicate if it was successful. You will now be asked if it is OK to return the PLC to run mode. 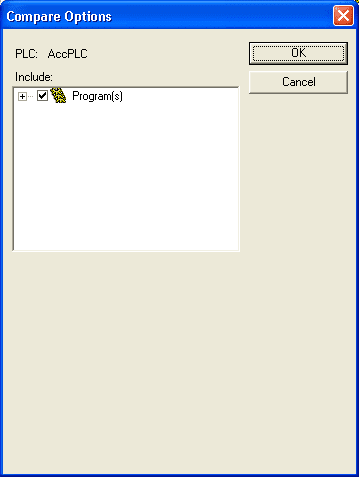 The output window is now displayed indicating that the program has no errors and warnings. It also will show you the amount of memory used. You can hit the ‘X’ in the top left corner of the output window to close it or you can hit Alt+2. 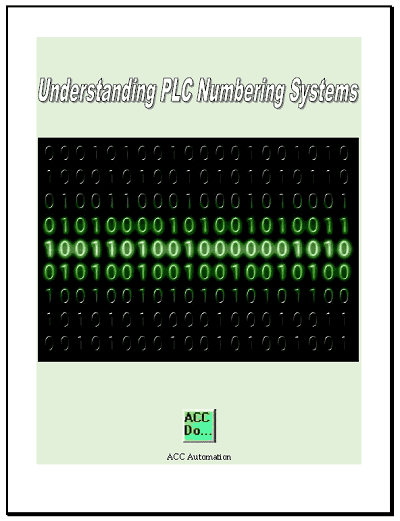 Verify the program in the PLC and CX-Programmer are the same. A Compare Options window will appear. The compare process will begin. A window will appear indicating that the compare was successful. 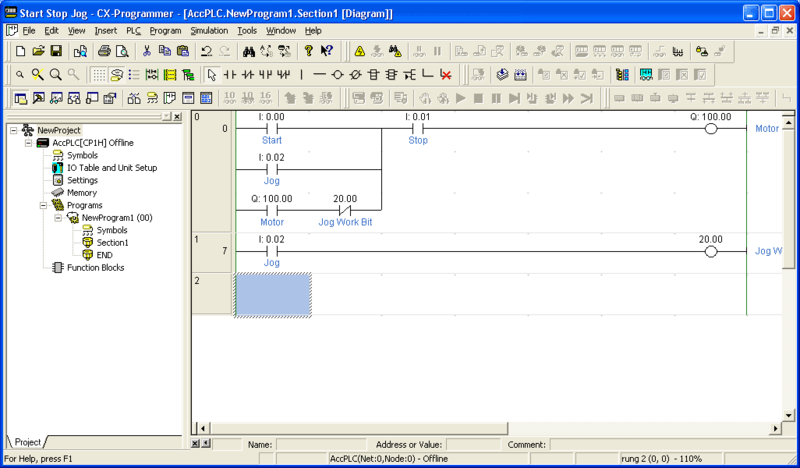 This means that the program in the PLC is an exact match of the one in CX-Programmer. We can now go off line by hitting the normal online mode triangle again. We will now select the USB connection to the PLC that is built into the CP1H. This uses a standard usb printer cable for communication. Leave everything as the default. Verify that the network and node number are zero. (0). We can select OK to save and get out of the network settings. Then hit OK to save and get out of the Change PLC settings. We are not set to establish communication using our USB cable. Select the normal online triangle to connect. This is the same procedure as mentioned above. See connection established with the CP1H PLC in action by watching the YouTube video below. Next time we will look at setting and forcing I/O alone and also online editing with the CP1H PLC. Do you still follow this article? I mean, can I ask a question here? I do still follow this thread. How can I help you? I have a CP1W-CIF11 card that communicates (controls speed) with a VFD. The problem is that from time to time (approx ones in an hour) the communication stops and after a timeout the VFD shows a communication fault. Ones I was present when it happened and I could see that the communicattion status indicator on the card stopped flashing (and after the timout that is set in the VFD) the VFD went into the fault. I’d like to know if I can (based on that behavior) determine if the problem is on the side of the PLC or VFD? Can you help me if I can somehow narrow down what and where the problem might be? The comm cable is very short, has a shield that is earthed on the PLC card. I’ve checked all the settings and it seems to be OK. 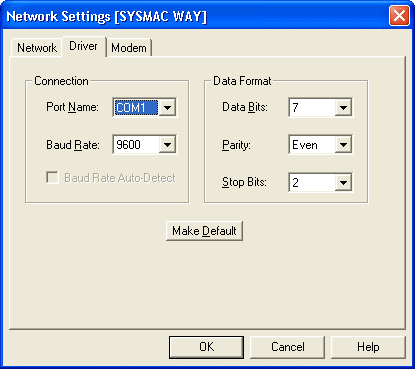 The mode is set to serial gateway. When communication stops what is the status of the CP1W-CIF11 bits? Here are the related auxiliary flags (bits) that can be viewed in the CPU. The above link will show the location of each of the bits. If the bits in the PLC do not show an error, I would suspect that an instruction was given to the VFD that was incorrect. This may cause an error. Here are a number of different thinks to look at in the system for troubleshooting.